Everybody loves the circus and we’re doing cartwheels because our favourite troupe is back in town! 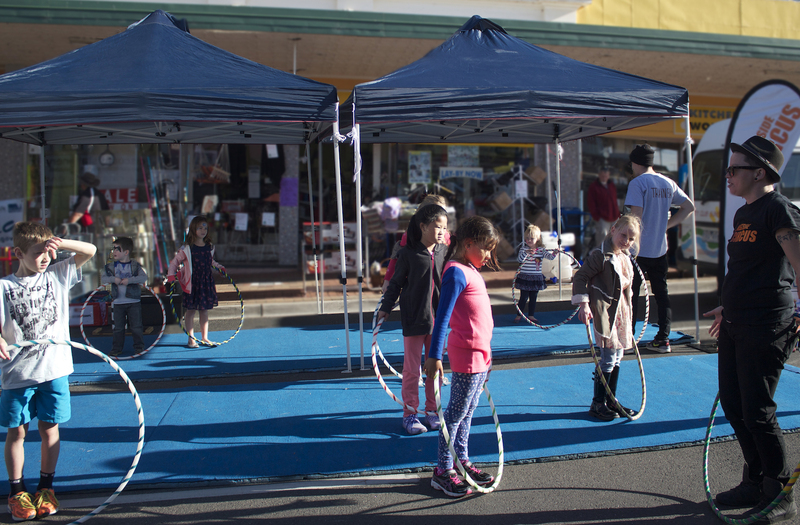 Westside Circus is Melbourne’s leading not-for-profit circus dedicated to creating quality participatory experiences for young people. For twenty-one years, they have delivered friendly and accessible circus workshops with an inclusive approach that welcomes and celebrates difference. Juggling, tumbling, balancing or swinging—sound up your alley? Circus is synonymous with fun and play, with a range of activities broad enough that anyone can find a skill or apparatus to suit their personality and achieve some level of skill quickly—sometimes within minutes—and feel pride in that success. Beyond the funambulism and rollicking good times, circus is a vibrant and physical art form that attracts diverse participants and audiences, opens the mind and invigorates the body. So come on down to MPavilion and flex your fun muscles! Discover the joys of circus as a way to free the imagination and bring people together—let’s get acrobatic! All events at MPavilion are free, however these sessions have a limited number of places. To guarantee your spot, please register your interest here. Drop-ins welcome too (but spaces are limited)! N.B. Everyone is welcome, but these workshops are designed for kids aged 7–10 years old. This listing is for the afternoon sessions (2–4pm daily, between 8–14 January). To register for a morning session (11am–1pm), click here. Please note: given the nature of this workshop, all participants will be asked to complete a mandatory consent form prior to engaging in any activities. This program is generously supported by the Nelson Meers Foundation.